As of July 2018, Canadian Naval Review has moved from CSSD to the Brian Mulroney Institute of Government at St. Francis Xavier University. CSSD fellows will continue to explore various aspects of defence policy, including Canadian naval procurement and maritime security. Join us on May 23-24, 2019 for a two-day workshop that brings together Canadian and international academics, policy-makers, NGOs, and the public to share knowledge about “beyond GDP” measurement initiatives and discuss next steps forward. Free and open to the public. Click here for more details and to register. Monday, March 18th at 4:00 pm in Ondaatje Hall (McCain Building) - Dr. Bill Marczak presents "Watching the Watchers: How Commercial Surveillance Open Spies to Scrutiny". Talk is free and open to the public. 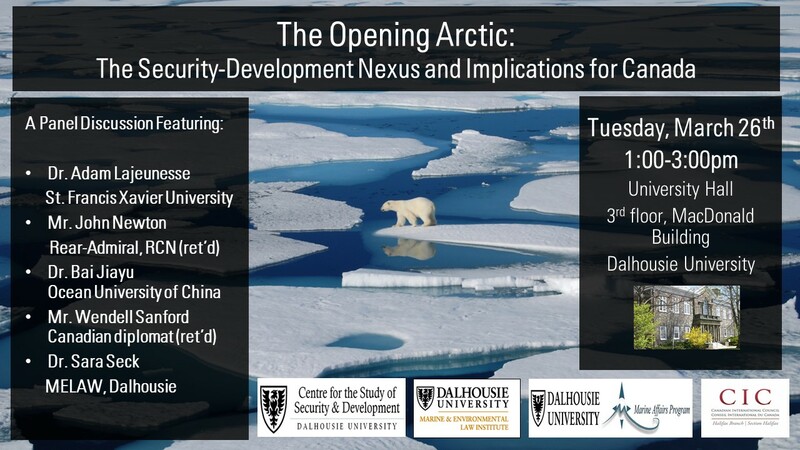 Join us for a panel discussion entitled 'The Open Arctic: The Emerging Security-Development Nexus and Implications for Canada" where practitioners and academics will explore various issues affecting Canada's North. Event is free and open to the public. CSSD will partner with the Balsillie School of International Affairs to bring together a new network of academic experts on various aspects of defence and security policy, organized by Bessma Momani and Brian Bow: the Canadian Network for Defence and Security Analysis (2018-19). The project is a one-year prototype for a new network initiative funded by DND’s Defence Engagement Program. Check here for updates! The Centre for the Study of Security and Development (CSSD) is a multi-disciplinary hub for collaborative research and public outreach, housed within the Department of Political Science at Dalhousie University. The CSSD facilitates research, organizes events, and supports teaching on international politics. For more details, visit our About page. CSSD is partnering with the Balsillie School of International Affairs (BSIA) and the Centre for International Governance Innovation (CIGI) to bring together a new network of academic experts on various aspects of defence and security policy: the Canadian Network for Defence & Security Analysis (2018-19). The project, organized by Bessma Momani (BSIA) and Brian Bow (CSSD), is a one-year prototype for a new network initiative funded by DND’s Defence Engagement Program. 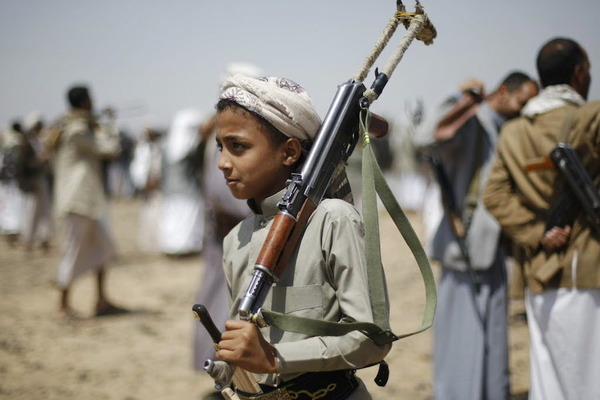 Founded by retired lieutenant-general and celebrated humanitarian Roméo Dallaire, the RDCSI is a global partnership committed to ending the use and recruitment of child soldiers worldwide, through ground-breaking research, advocacy, and security-sector training. The Initiative is housed at the Centre for the Study of Security and Development at Dalhousie University.